NuGen IT employee owner and business development executive Pete Tagliapietra estimates that despite the industry emphasis of OEM repair procedures since at least 2011, many shops still fail to use them. “It’s so apparent to us,” Tagliapietra said. Even the shops who do follow OEM guidelines might not be preserving a record of having done so, Tagliapietra said. A shop who doesn’t access and retain the procedures they used to fix the vehicle along with the repair order, estimate and images of the work, is engaging in a “going out of business strategy,” he said. Tagliapietra and NuGen IT’s Wil Peck plan to address both issues at “The Imperative of Accessing and Retaining OEM Repair Information on every Structurally Repaired Vehicle,” 3-5 p.m. on Tuesday, Oct. 30, during the Society of Collision Repair Specialists’ Repairer Driven Education series at SEMA. The industry is so behind on following OEM repair procedures — Tagliapietra described it as on the “ground floor” — that convincing shops to at least follow structural repair procedures would be a victory. “That would be a quantum leap forward,” he said. Once an audience had been attracted, they could be told, “‘This is a wake-up call for you,'” according to Tagliapietra. A 2017 “Who Pays for What?” survey by Collision Advice and CRASH Network found the percentage of responding shops who looked up OEM repair procedures “most of the time” or always grew to 48.8 percent. That’s up from 48.2 percent in 2016 and much better than the 42.7 percent in 2015. But that’s still the majority of the 494 respondents who weren’t consistently doing it. Shops persist with what Tagliapietra calls “genetically impaired excuses” for avoiding the wealth of information available, such as “‘I have I-CAR information'” — which is funny, as I-CAR directs shops to follow OEM procedures — or that the refusenik has been working in the industry a long time. Perhaps there’d be more time after the shop owner was “run out of business,” Tagliapietra said Tuesday. Tagliapietra said that contrary to reports by some technicians of desiring to use OEM procedures and being told not to do so by an owner, that hasn’t been the case for the wider industry. The typical technician won’t pull that information themselves. Failing to retain the information can be just as costly from a litigation perspective, for the shop would have no physical proof it did the job correctly (assuming the vehicle is too mangled), he said. He encouraged shops to do their research and find out a means of storing their repair procedure documentation. 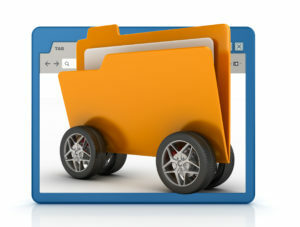 More efficient ways of collating, organizing and storing that information exist on the market. But there’s always the DIY option as well: Dump all your files on cloud storage and organize it yourself. Tagliapietra said shops needed to be educated that there was a “paradigm shift” in collision repair. Because of vehicle technology, a shop had to keep “both eyes above suspicion,” he said. There’s also too much information available for others to see what you should be doing, according to Tagliapietra. “You can’t keep that repair process quiet anymore,” he said. Attend Tagliapietra and other speakers’ sessions by taking advantage of early registration for the Repairer Driven Education series and OEM Collision Repair Technology Summit at SEMA. Classes and individual OEM Collision Repair Summit sessions are $75 now, $85 after the Oct. 12 early bird deadline. The best deal is the full-series pass for $375, $400 after the deadline. It grants the repairer access to every RDE class, all three sessions of the Thursday, Nov. 1, OEM Collision Repair Technology Summit, the awesome Sky Villa afterparty in Elvis’ old Westgate penthouse that night, and the brand new IDEAS Collide TED-style event Friday, Nov. 2.